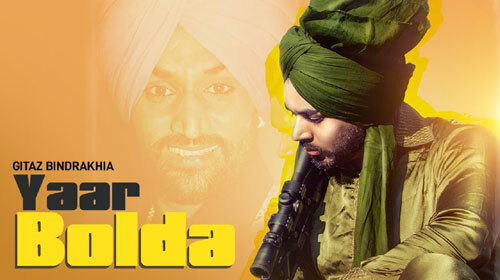 Yaar Bolda Lyrics – Gitaz Bindrakhia: This is a brand new Punjabi song sung by Gitaz Bindrakhia and composed by Snappy. Its lyrics are written by Rav Hanjra and music video is directed by Rupan Bal. Tu ni boldi tere ch tera.. If you find any mistake in lyrics of YAAR BOLDA LYRICS – Gitaz Bindrakhia song please let us know in comments.